Fully fenced to keep those tots safe. Elevated position allows cooling breezes from hot sun. 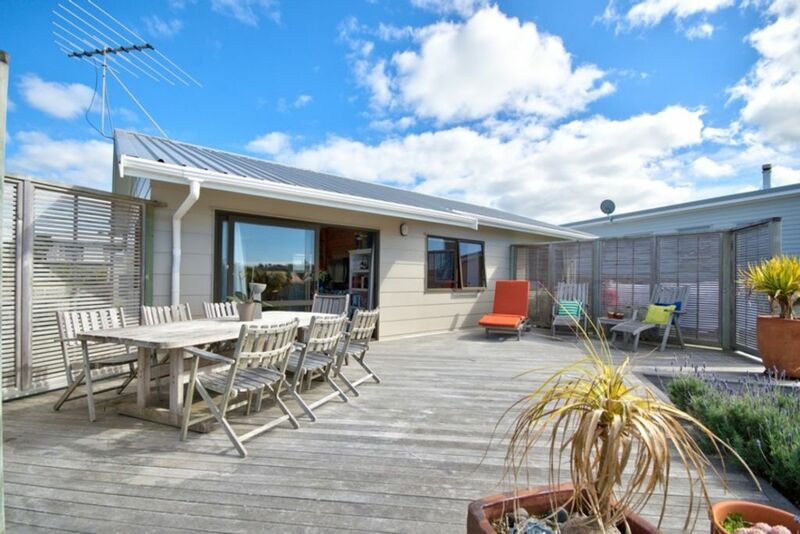 Close to Matakana to enjoy the market, movies, shopping, cafes etc. Short drive to Tawharanui Regional Park. Short drive to Goat Island marine reserve. Flat section for kids to play on. Sleepout for kids/teens to hang out in while parents have house to themselves. Bunk beds are king single size, sleepout also suitable for adults. Outdoor shower to rinse salt water off after a swim at the beach. Two decks to enjoy. One is covered and ideal for outdoor dining. Short walk to beach along pathway, no roads to cross. Great network of paths for walking or cycling. Can walk to local dairy and cafe. Small family pets considered on a case by case basis. Earlier check-in from 2pm available. Short drive to boat ramp and access to the beautiful Hauraki gulf.